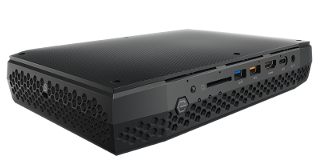 ion's NUC8 miniSERVER is perfect for "server" applications where redundancy is already provided at the application level. With mirrored SSDs and dual 1Gb Ethernet the performance and redundancy is just right for a range of applications. Building a private cloud infrastructure that would be better based on small, inexpensive, Commercial Off-the-Shelf (COTS) systems? How many miniSERVERs do you need? » Learn more!